One of the most intriguing topics in the world of sports is comparing how dedicated and passionate people are about their favorite sports. Many attribute the term “diehard sports fan” to the most devoted fan. Diehard sports fans are those who generally like sports, but have one they prefer the most. These fans often regularly follow sports by watching the game on TV, listening to the radio, talking with friends, following on social media or watching various talk shows. These fans are likely to have played some sport at one point in their lives, they are likely to have started following a sport from a young age, and they are likely to be able to discuss statistics, players, and historical wins or losses with particular vivacity. 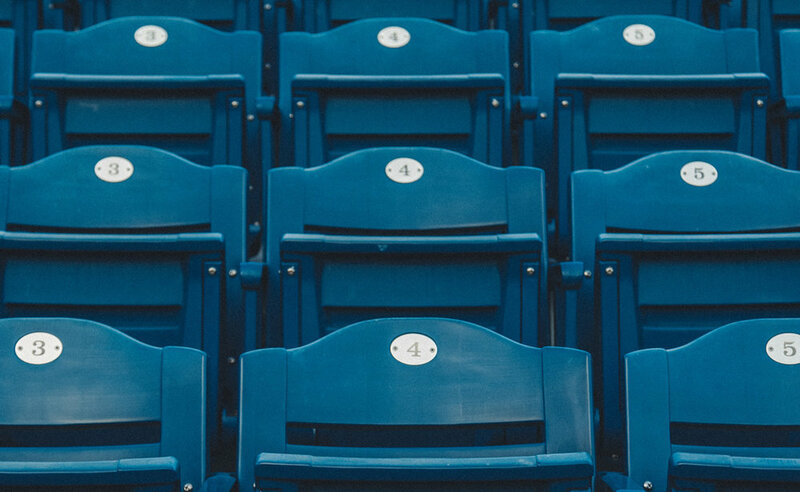 While the proclivities of diehard sports fan are certainly interesting, the opinions of other types of sports fans should not be underestimated. A national survey called Voice of the American Fan discovered several interesting findings about sports fans and how they differ based on their level of interest in sports. Diehard sports fans are the only type of fans where the majority of respondents currently play a sport. In fact, there is a positive correlation between level of interest in sports and if he or she currently plays a sport. However, the majority of all respondents have played a sport at some point in his or her life. The type of sport that fans prefer also differs. The three most popular sports in America are football, basketball and baseball; so, while there is a positive correlation with the level of interest in sports and choosing football or basketball, neutral fans are more likely than the other two groups to choose baseball as their favorite sport. For every major sport in the U.S., there is a positive correlation with the level of interest in sports and the sports that fans regularly follow. That is, diehard sport fans are most likely to regularly follow every sport and neutral fans are least likely to regularly follow every sport. For example, while neutral fans and fans who likes sports pretty well indicate that they have never had any interest in auto racing, diehard sports fans said that they like auto racing the same amount as last year. Diehard sports fans are also more flexible in their methods used to follow sports. Furthermore, diehard sports fans and fans who like sports pretty well are more likely to have watched the 2018 Super Bowl with friends or family or to have watched it alone than neutral sports fans. These results are shared for the 2017 Super Bowl as well. While football fans are the most likely group to watch regular football games, they were not the only group to watch the Super Bowl. The level of interest that one has in a sport contributes more to the decision to watch the Super Bowl than the type of sport that fans favor most. In addition, while the majority of all fans specified that they enjoy professional football the same amount as last year, many diehard sports fans indicated that they enjoy professional football more than they did last year when compared to the other two groups. It is fascinating to examine what sports fans like to do aside from following sports. Results are different based on the level of interest in sports. For example, neutral fans’ top two favorite hobbies are “listening to music” and “cooking”. Fans who like sports pretty well indicate that their top two hobbies are “listening to music” and “spending time with friends and family”, and diehard sports fans’ top two favorite hobbies are “watching sports on TV” and “attending live sporting events”. This finding is interesting because both hobbies for diehard sports fans include some type of sporting event while neither hobby for the other two groups include sports. Surprisingly, there seems to be a larger than normal divergence of opinion between diehard sports fans and fans who like sports pretty well. In fact, fans who like sports pretty well and neutral fans seem to act more similar than die-hard sports fans and fans who like sports pretty well. Perhaps those in the diehard sports fan category are the only fans who are truly dedicated and passionate about the world of sports. Unlike the majority of this study which was designed to discoverer contrasting opinions between sports fans, one finding reveals an interesting similarity: most fans who stopped following a sport that they used to follow stopped following when they were in their 20s. Perhaps this changed occurred at this point because it is common time in one’s life where many changes begin to occur. Perhaps some people stopped playing a sport that they used to play in high school when they left for college, which could have led to a general decrease in overall interest in the sport. In fact, most respondents from the study revealed that they stopped following a sport because they just lost interest. However, a difference between respondents is that fans who like sports pretty well chose this option more often than other types of fans. Respondents value each aspect of a sporting event differently. For example, neutral fans are more likely to say that their favorite aspect of a sport is the exciting environment or spending time with friends and family. On the other hand, diehard sports fans are more likely to say that their favorite aspect of a sporting event is the sport itself. Yet again, diehard sports fans are more dedicated to the sport while less passionate types of fans like other factors of sporting events. These fans also do not think about the result of a stressful or exciting game nearly as long as more loyal fans. In fact, neutral fans are most likely to say that the results from a stressful game will stay on their mind for less than an hour and diehard sports fans are most likely to say that it will last for a couple days. There are several demographic findings that could influence how marketers advertise to sports fans. Diehard sports fans, which are the most likely group to respond to targeted sports marketing efforts, are more likely to live in the southeast than the other two groups. Moreover, they are most likely to be between the ages of 31-40 while neutral fans are more likely to be 61 or older or between 18-24. Finally, diehard sports fans are more likely to be male. In summary, fans have very different tendencies and opinions based on their level of interest in sports. Diehard sports fans are most likely to currently play a sport, regularly follow a variety of sports, use a variety of methods to follow sports, have begun following a sport at a young age, think about the results of a stressful game for a couple days, and feel stronger emotions that other, less committed sports fans. On the other hand, neutral fans are more likely to enjoy baseball more than other types of fans, have no interest in auto racing, and spend less time following sports each week. Fans who like sports pretty well generally fall in between these two groups but tend to share more opinions with neutral fans than die-hard sports fans. These results shed light on the topic of the type of sports fan and how the level of interest in sports can impact one’s opinions on a variety of topics. Perhaps now the opinions and preferences of sports fans can be better understood and identified as important and relevant in the modern world of sports. Are all Sports Fans Created Equal?